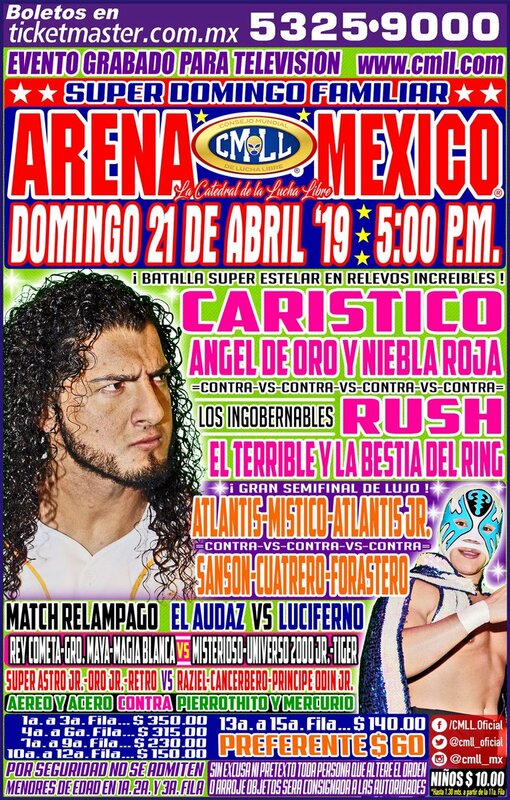 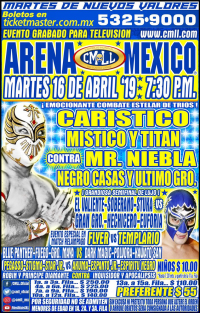 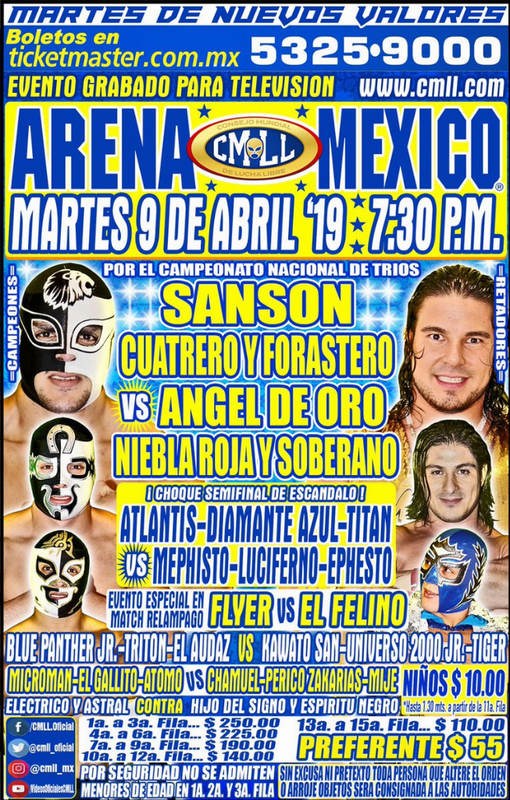 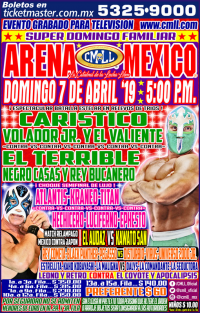 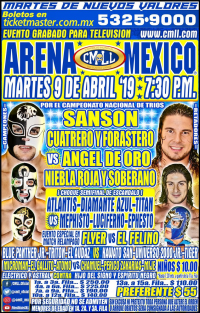 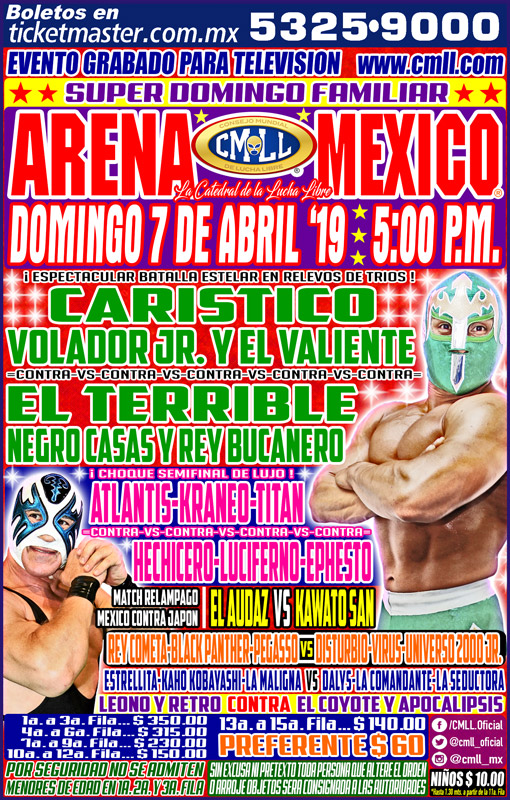 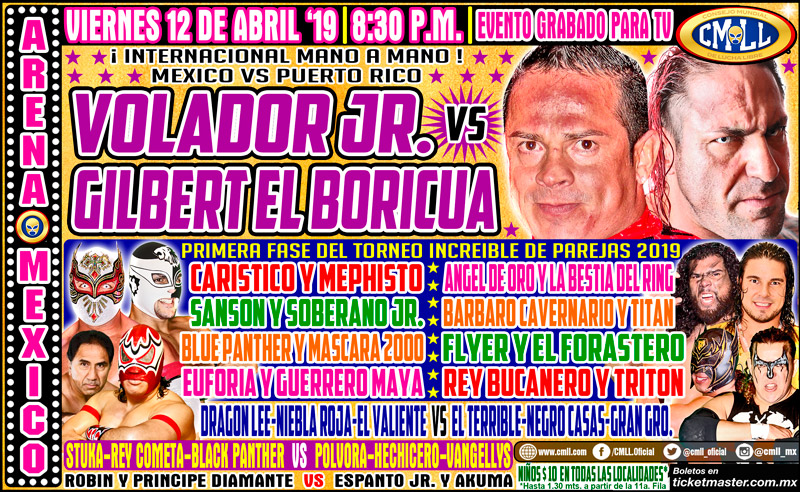 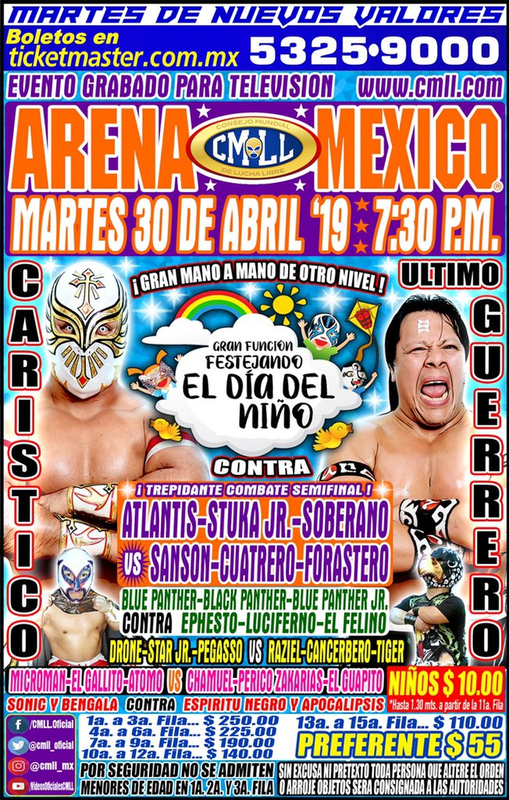 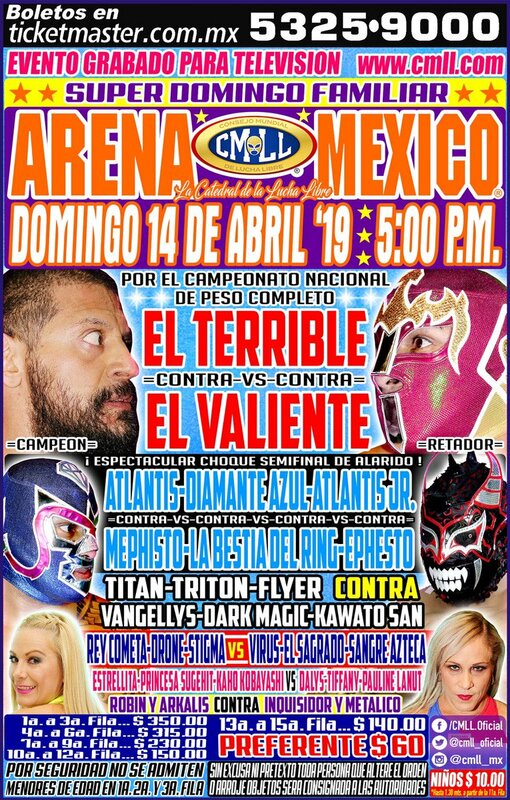 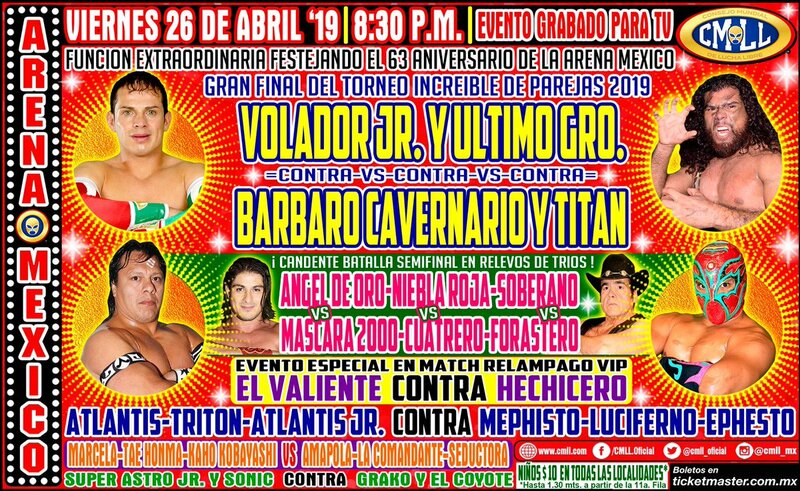 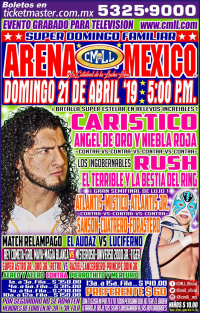 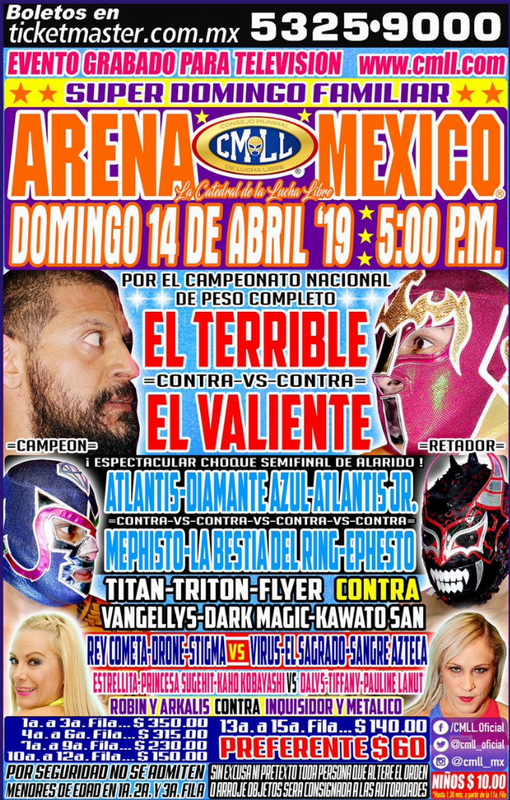 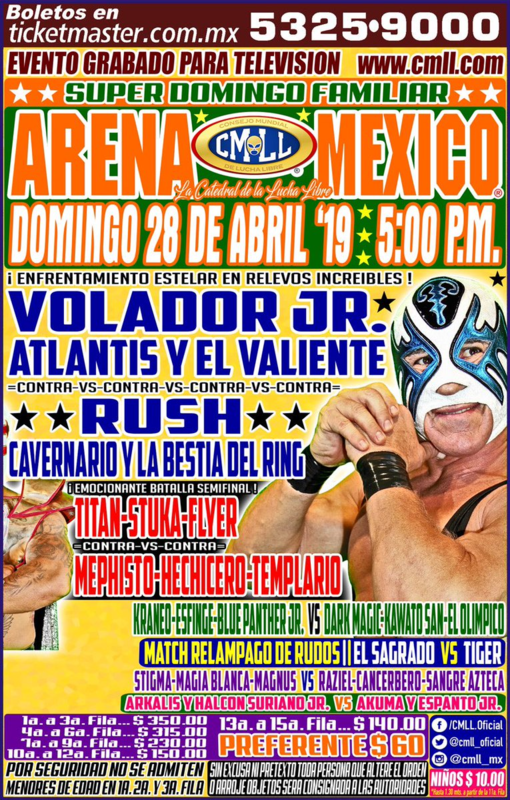 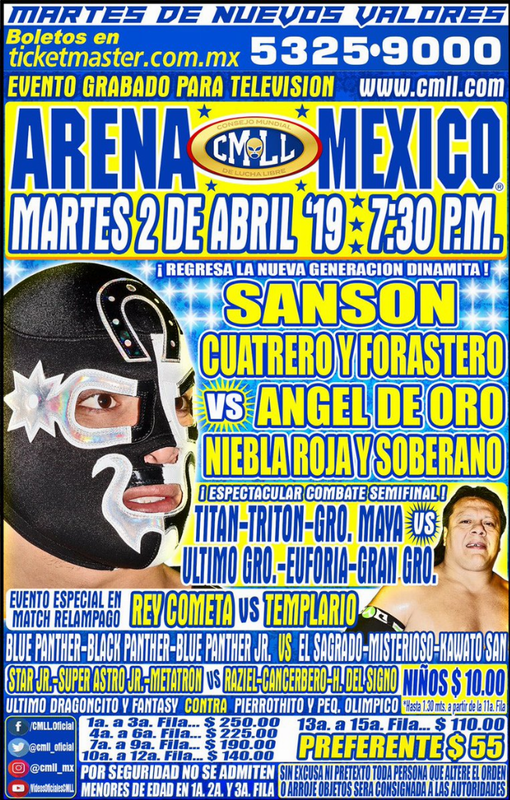 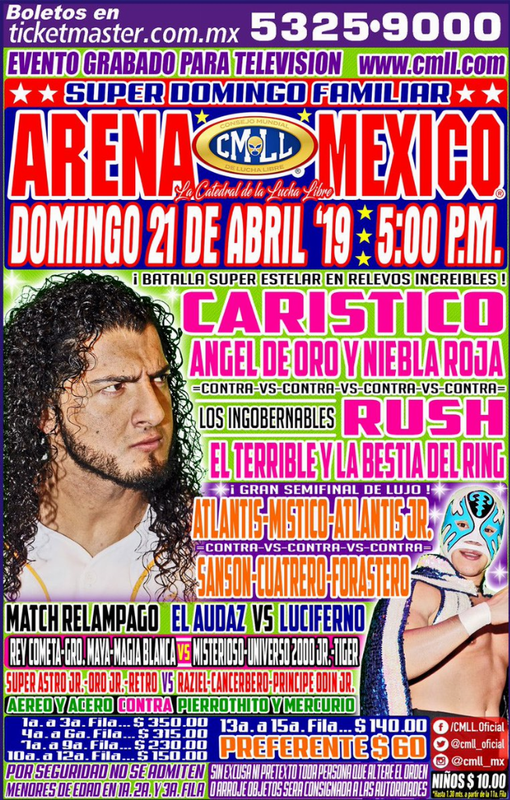 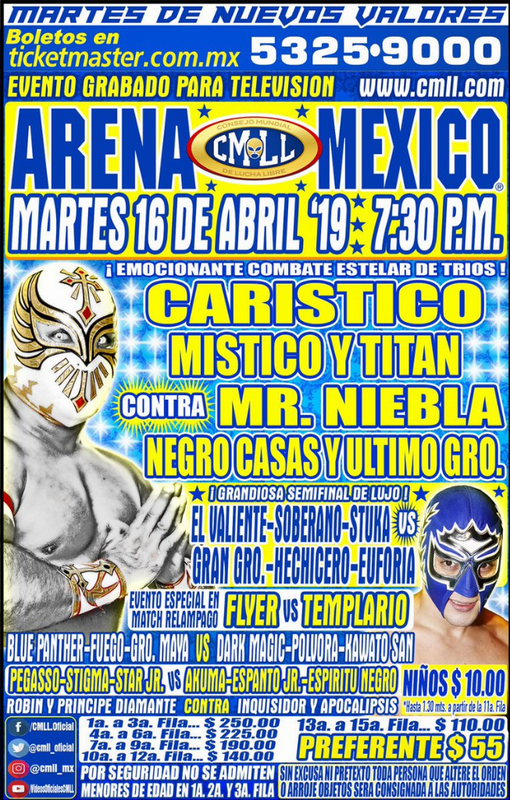 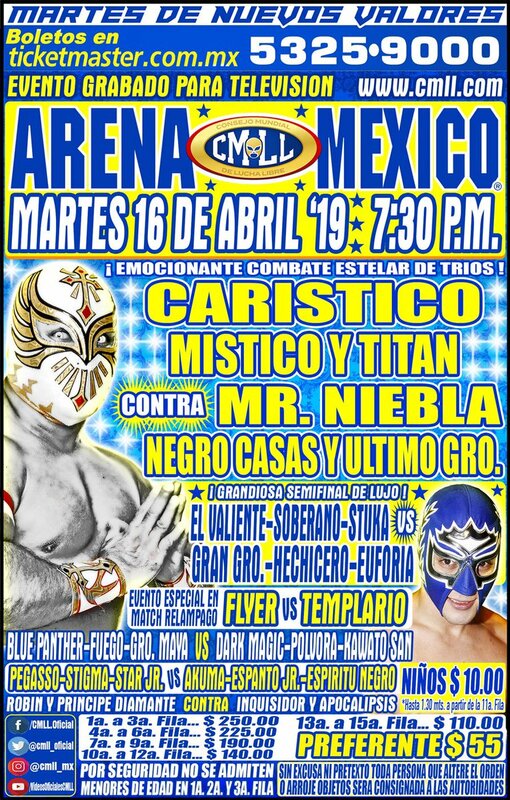 2) Cancerbero, Príncipe Odín Jr., Raziel b Oro Jr., Retro, Súper Astro Jr.
3) Guerrero Maya Jr., Magia Blanca, Rey Cometa b Misterioso Jr., Tiger, Universo 2000 Jr.
Flyer switched spots with Rey Cometa on Saturday. 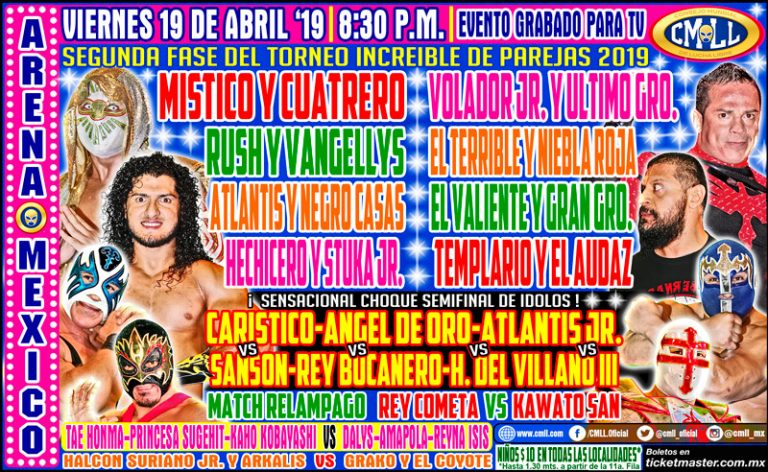 Rey Cometa switched spots with Flyer on Saturday. 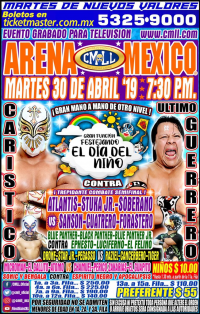 Ultimo Guerrero pulled Caristico's mask, setting up a match between them next week. 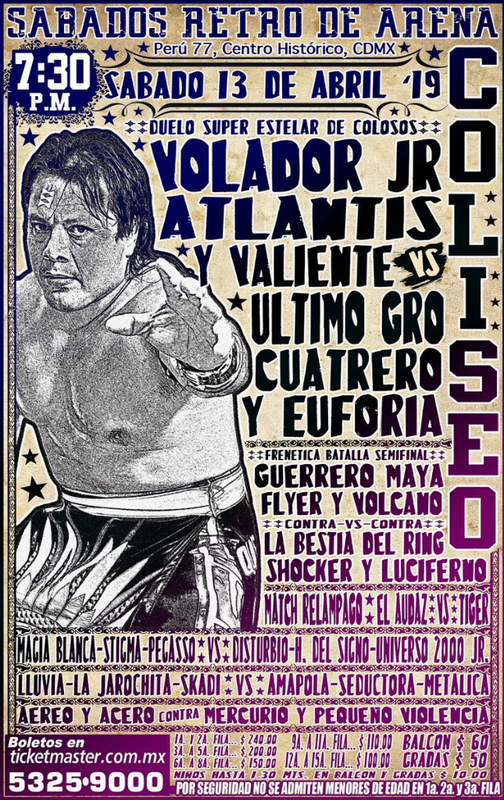 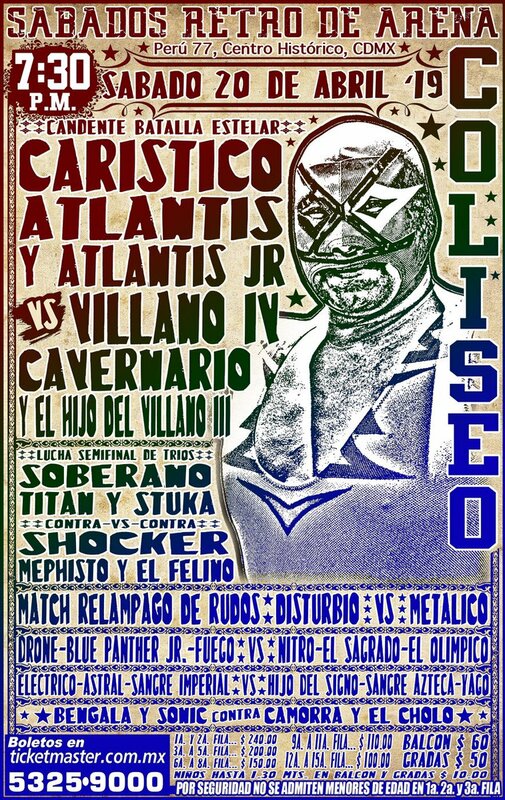 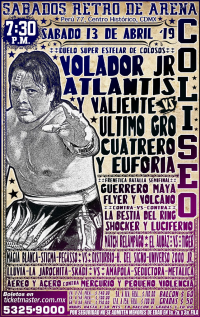 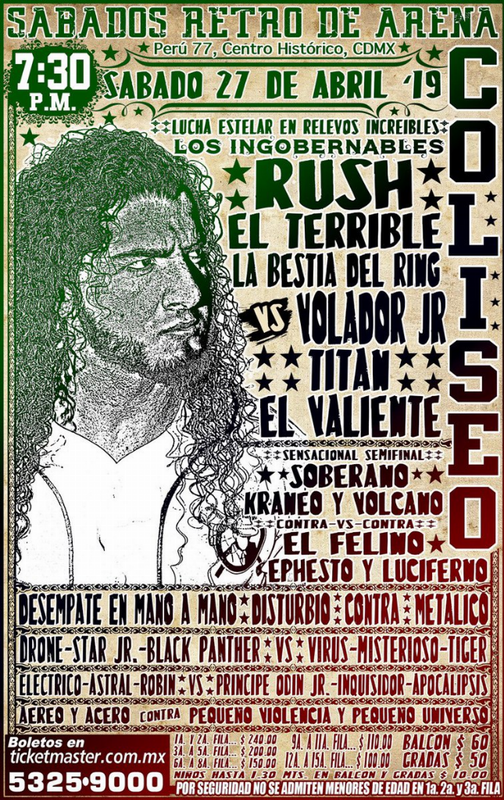 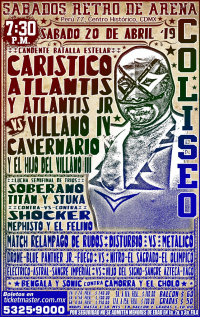 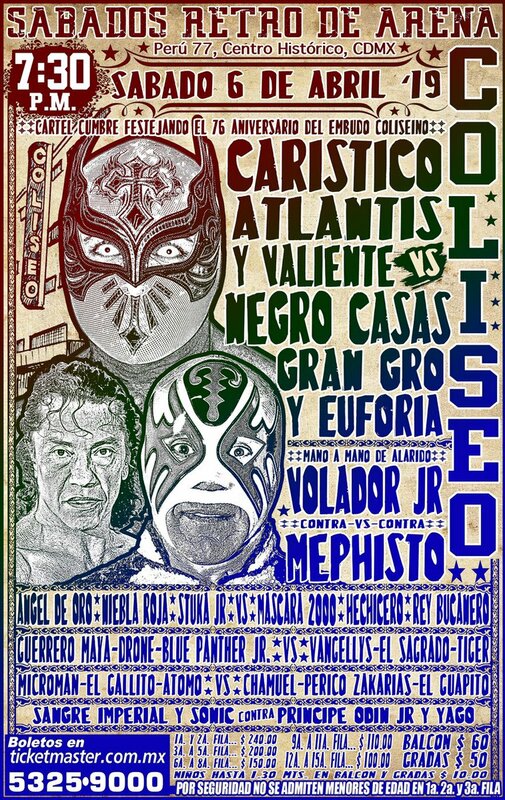 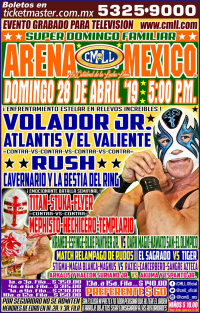 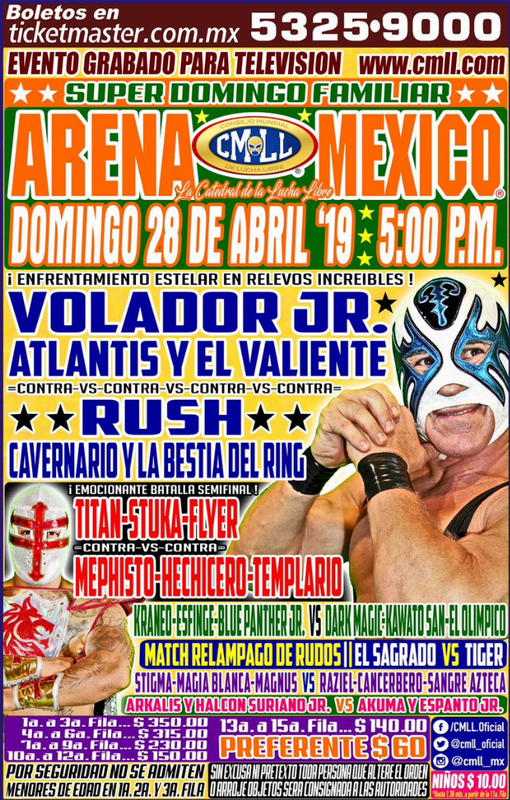 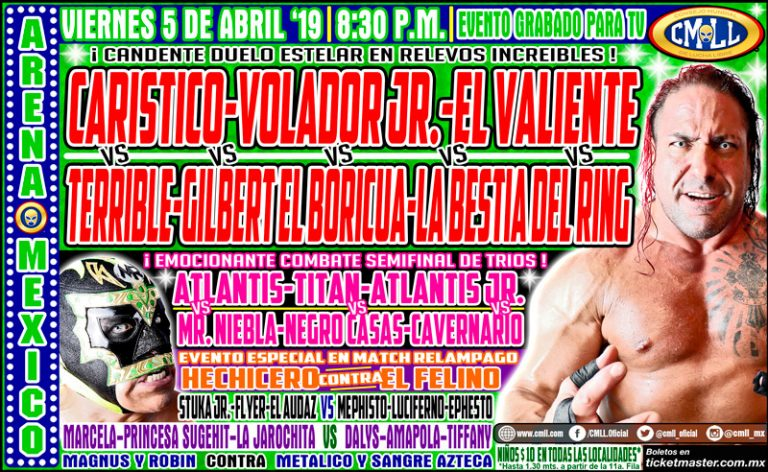 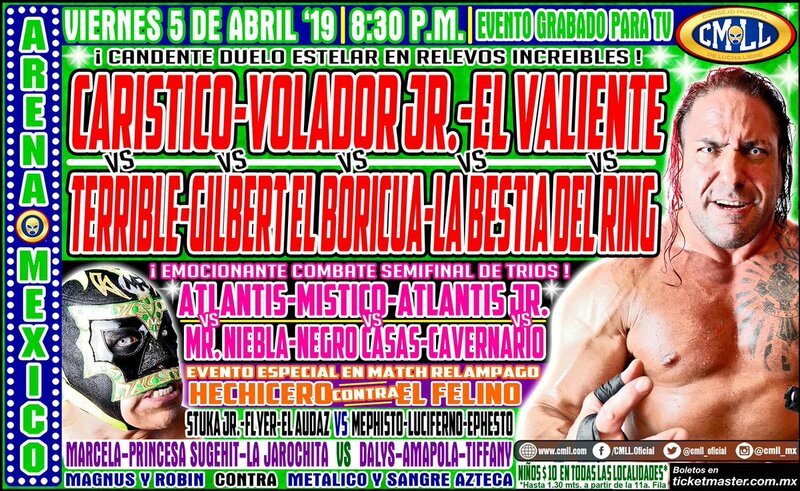 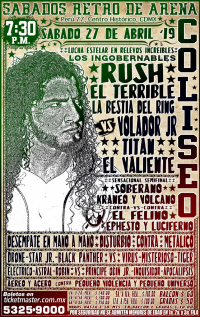 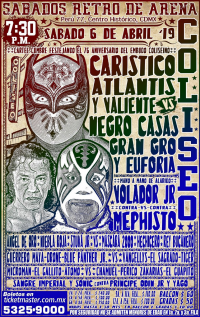 2) Astral, Eléctrico, Robin vs Apocalipsis, Inquisidor, Príncipe Odín Jr.
6) La Bestia Del Ring, Rush, Terrible vs Titán, Valiente, Volador Jr.
1) Arkalis & Halcón Suriano Jr. vs Akuma & Espanto Jr.